Situated in Germiston, Sun Silicates is currently the only company in South Africa that supplies both vermiculite and perlite-based insulating media used in the construction industry. With a history of over 12 years in the metallurgical and chemical industry, the company has undergone major expansion over the last four years, recently achieving ISO 2001:2015 certification. We interviewed Gerbrand Haasbroek, founder and managing director of Sun Silicates, to find out more about the history behind this proudly South African company, what ISO 9001:2015 certification means for its management systems, and what some of the current trends are in the industry. Tell us a bit about your experience in the metallurgical and chemical industry, and how you came to launch Sun Silicates? I studied at the University of Pretoria where I obtained an honours degree in metallurgical engineering. I have more than 30 years of experience in the industry that includes experience in production, project consulting, marketing and general management. Some of the commodities I have been involved with includes iron and steel, vanadium, ferro chrome, refractory materials, plastics, powder paint, ceramics, aluminium, platinum, chromite and tantalum. Although I worked in heavy industry for many years, my passion has always been to own and operate my own manufacturing concern. Having been involved in pyrometallurgical processes and also the chemical industry lead me to the manufacture of perlite and vermiculite that uses high temperature furnaces and the products are used in many of the industries I have knowledge of. The choice was mainly based on finding a high tech product that was dominated by only a few players in the market, creating an opportunity to compete locally not only on price, but value adding the products to ensure the customers receive not only product but also technical support and quality service. What does receiving ISO 9001:2015 certification mean for Sun Silicates? Achieving this certification is a great achievement for our team. When operating in a high tech environment while supplying products to large industrial customers, it is imperative to ensure consistent and high quality products. It can sometimes take years to introduce your product and one failure can set you back many years and damage your company’s reputation. The ISO 9001:2015 system formalises the management system of our company and since it is relatively new, it ensures we start off from a solid base from where we can develop our products and market. Continual improvement is part of our culture and this measurement system ensures we keep focusing on the items that make the difference to our customers. Sun Silicates has undergone major expansion over the last four years - what has this entailed? Sun Silicates originally started off by manufacturing potassium silicates solutions used in agriculture, as well as the welding rod manufacturing industry. Since this is a relatively small niche market, Sun Silicates quickly dominated it and it was decided to embark on a project to manufacture products for a variety of customers and industries. This lead to the designing, building and commissioning of two additional manufacturing facilities - one for the manufacture of exfoliated perlite and one for exfoliated vermiculite. None of the equipment was purchased from external suppliers, but rather designed and manufactured in-house. In the last year a major upgrade of the perlite plant was done, after visiting a state of the art plant in Europe. From the experience gained we were able to upgrade our plant to allow us to now produce class-leading products. Some of these products are currently imported as local quality does not meet customer requirements. Tell us a bit more about Sun Silicates main product categories and the applications in which they are used. How competitive is the market in which you operate? There are few competitors that manufacture these products locally, so although we have local competition, it is not overtraded. The products are low density and hence bulky, this, to large extent, eliminates international competition. Having access to low-cost energy is of paramount importance - Sun Silicates has piped natural gas that ensures that we can compete on equal footing with our competitors. Sun Silicates is currently the only company that manufactures both the perlite and vermiculite, hence giving our customers (that in many instances use both types of product) a one-stop service. What are some of the current trends in the metallurgical and chemical industry? Currently the products are used mainly in the agricultural and building industries. There is a strong growth trend in foodstuff being grown in hydroponic systems. The main reason for this is water scarcity, automation efficiency and product quality requirements from the final consumer. In the building industry, a similar growing trend is also prevalent - this is due to the focus and new legislation to ensure energy efficient buildings. Do you have any expansion plans on the cards? If yes, could you share some of these with us? 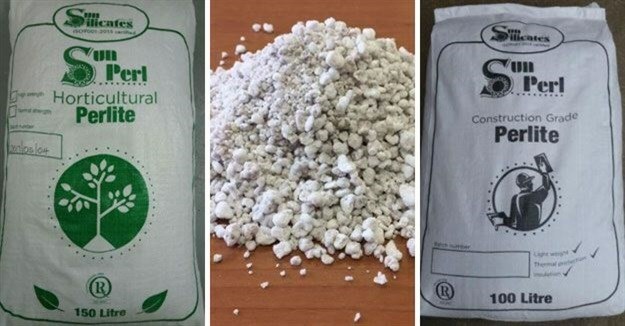 Due to the application of vermiculite and perlite in insulating refractories, the company has created a sister company Sun Insulation that will manufacture, not only insulating refractories, but the complete range of refractories concretes used in the metallurgical and chemical industries. 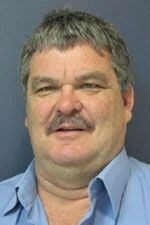 For more info on Sun Silicates, go to www.sunsilicates.co.za.